Petrol Price Cut In India Again– Is This Effect Of Upcoming Elections? Petrol prices in India are changed every few weeks now in past few weeks. This is a unusual phenomenon which may have may reasons behind it. The major official reason cited for the recent petrol price cut in India (by 85 paise in Delhi) is the drop in international crude prices. But the interesting fact is that Indian Rupee is touching its lowest levels against the US Dollars in past many years, which means that Indian oil companies have to face more cost because of depreciating Rupee. The two major factors which affect Indian petrol prices are the International crude oil price and Indian Rupee price against US Dollars. The prices of petrol have increased very rapidly in past two years. As per the official data, prices of Petrol in Delhi in July 2009 were Rs. 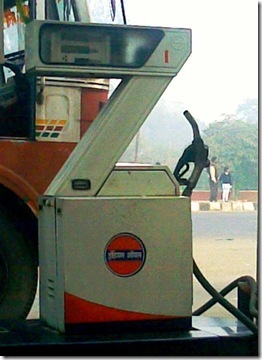 44.72 per litre while in July 2011 it was Rs. 63.70 which is a huge increase of 42.4%. The inflation has been at its all time high in the past few year and the this slight price cut seems to be an attempt to calm down the restless middle-class and lower-middle class of India who are facing the heat of Inflation and struggling to cope up with the price rise of almost all the consumable products in India.